Mommy Maestra: What is Worldschooling? The following is a guest post by the wonderful worldschooler, Wendy Awai-Dakroub from Pint Size Gourmets. We get a lot of questions from family, friends, and even strangers when they hear that we worldschool our children. Taking your kids out of school, traveling around the world with them, and educating them along the way seems like a daunting task, but if we can do it, so can you! Everyone seems to have their own definition for worldschooling - it really is what you want to make of it for you and your family. For our two kids, Lou Lou and Jaf, it means they travel the world with us and learn about the world and its cultures and traditions through food. They have a curriculum they follow on their iPads (we call it iPad schooling) that ensures they’re on the same level as kids their age who are in a traditional school. In addition, I’ve developed a culinary worldschooling curriculum for them to follow. 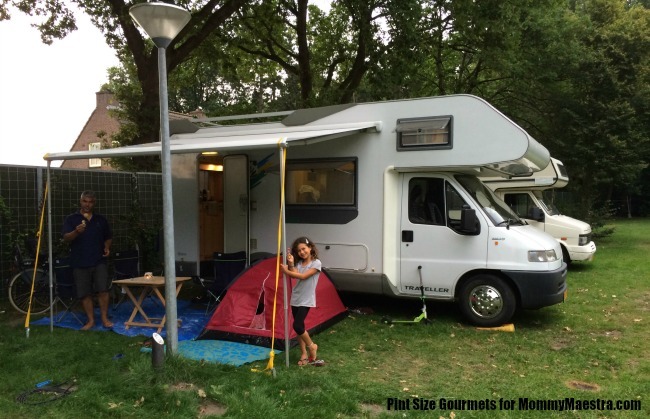 Back in 2014, my husband and I decided to leave the rat race, rent our home, take our two young children out of private school, and travel Europe in an RV so we could spend quality time together. A week into our trip we were all settled into our comfortable RV in Amsterdam and I decided to let the culinary worldschooling begin! But with no books or workbooks and me having absolutely NO experience in teaching, this was going to be quite a challenge. 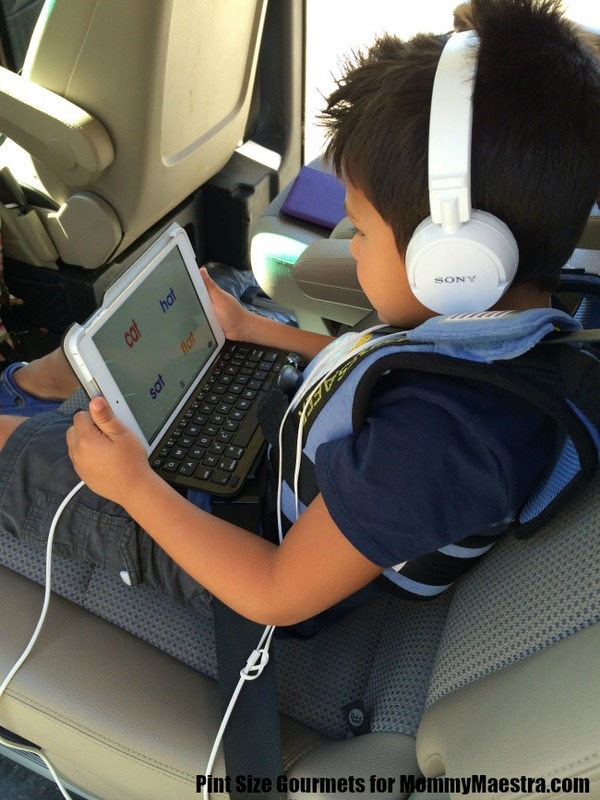 However, what we did have were iPad mini’s that we bought for the kids to keep them busy if and when needed (long train rides, airplanes, etc.). So, I decided to spend a day looking for and researching the best “apps” on iTunes that would help me create a personalized iPad curriculum for my children (see what they are here). For the first two weeks, it was tough getting them to focus on any studying, period. But after the kids got used to the routine, they just started iPad schooling themselves after breakfast. I would check online reports on how they were progressing (available on certain apps) which gave me a sense of relief. Some days, homework was done in a park, or in a cafe, in the lobby of a hotel, or in the RV, so just knowing we only had to carry a journal, book, and iPad was easier. The kids really enjoy doing their lessons on the iPad and would do it on their own with little or no help from me, their teacher. They learned how important the iPad was to them, and funny enough you will not see them playing games or anything else on it in the evenings since they now associate their iPad with school. 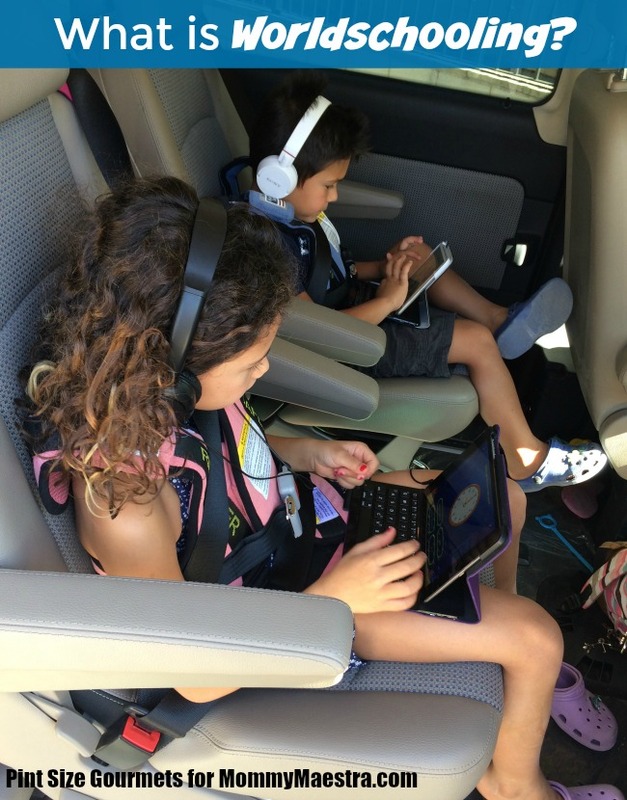 Six months into our iPad schooling, we decided to visit a Sylvan Learning Center in Dubai, UAE to do an assessment test to see if my children were keeping up with the rest of the US public school testing scores. At the time, Lou Lou had started the 1st Grade and was apparently reading at a beginning 2nd-grade level. She was also at the beginning level math for 2nd Grade (a whole year ahead!). Jaf was still in Pre-K, but we tested him to see if he was anywhere near the beginning stages of math and reading. He also was progressing at a mid-Kindergarten level, in both subjects! Because we lived in an RV part-time, we had to shop for groceries almost every other day. We’d make a meal plan for the week and “try” to stick to it. The kids, at first, would help with the shopping and cooking because they had to. Over time, as they got more involved in the shopping process, they eventually wanted to know more about cooking. That’s when I realized that by teaching my kids to cook, I could leverage their eagerness to learn and turn it into something wonderful and educational! So, in addition to our personalized iPad curriculum, we take it a bit further by cooking foods from around the world. Culinary Worldschooling has now become the basis for everything we do when it comes to teaching our children. Culinary literally means “cooking” or “to cook,” and worldschooling can be defined as schooling through world-travel. 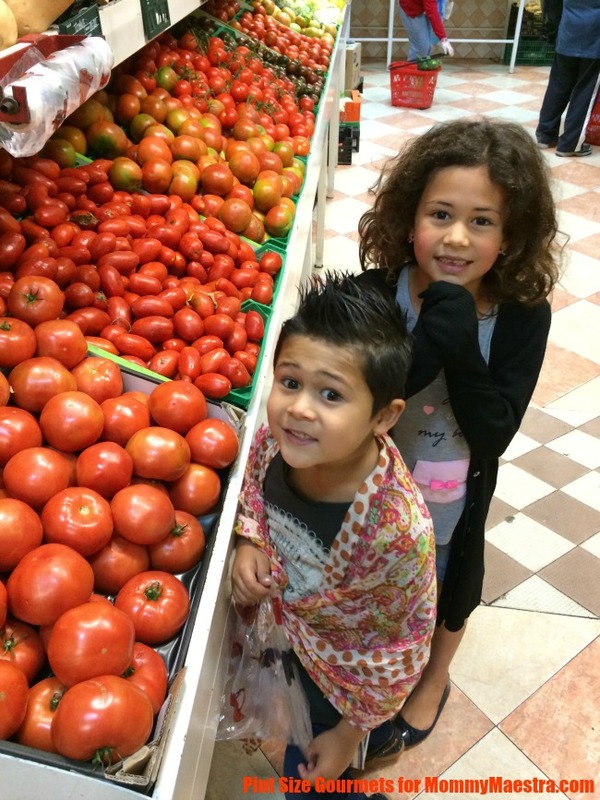 Here’s a video the kids did recently to explain what Culinary Worldschooling means. Though our way of teaching is different from most, we know that both children are learning important life skills - ones they need to learn to survive in the world. 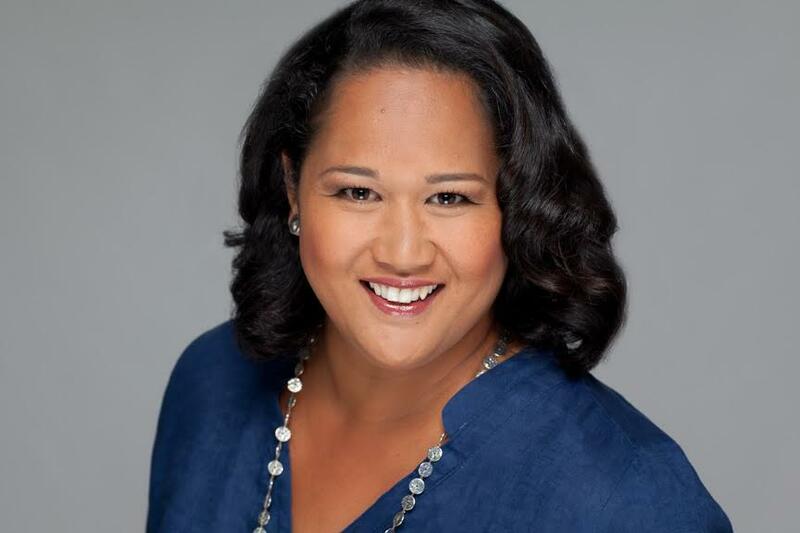 Wendy Awai-Dakroub is a Hawaii-based writer, photographer, traveler, and mom to kid-foodies LouLou and Jaf. The Dakroub family culinary worldschooling adventures are chronicled at www.pintsizegourmets.com, a kid-friendly food and travel blog.